Fall Harvest is a special time of year on the farm. Our mission is to put people in 'touch' with their food and this is the prime season. When you bring your family and friends, you experience the joys of harvest first-hand. 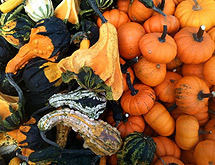 Hop on a FREE hayride to our Pumpkin Patch and pick a pumpkin right off the living vine! 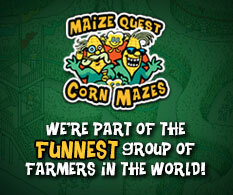 Join us for the harvest season and see how much fun a day at Butcher's Family Fun Farm can be!